Professional Hair Scissors, Hairdressing Scissors, Barber Shears, Hair Salon Scissors - High quality Taiwan Professional Hair Scissors, Hairdressing Scissors, Barber Shears, Hair Salon Scissors provides by Jean-Modern's Ind. Co., Ltd.
1. Highest quality Japanese Steel: 440C. 2. Hardness Rockwell (HRc) Value at 56°~59°. 3. Double hollow ground blades that are honed to razor sharpness. 4. a satin smooth ride. 6. Plastic finger hole inserts. 8. For Professional Salon of Hairdresser. 9. Size: 5', 5.5', 6'. 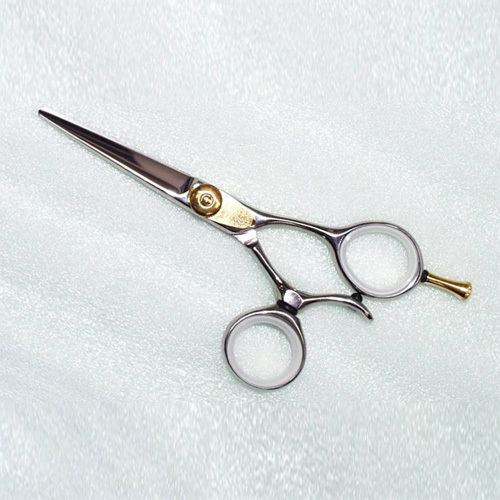 Professional Hair Scissors for Casting and Forging Highest Quality Steel. We mainly export the latest beauty projects to beauty salons Hair Scissors for wholesale and all kinds of OEM & ODM services.